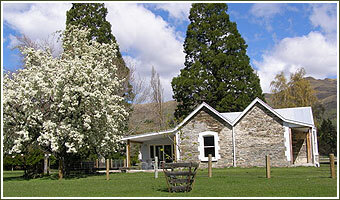 Naylor House is located just south of the small rural township of Garston in New Zealand's heartland countryside. Naylor House is perfectly located to access the Queenstown winter playground. To get there from the Frankton/Queenstown airport, take Highway 6 from Queenstown and it’s a leisurely 45 minute drive among some of the world’s most breathtaking scenery. 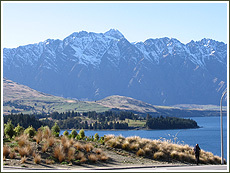 The road travels south alongside the Remarkables and Lake Wakatipu. 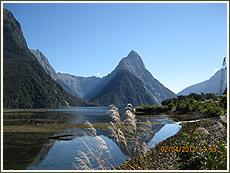 Its also an hours drive if you are travelling north from the gateway to Fiordland National Park, Te Anau. Look out for the Naylor’s Road turn off, just before you get to Garston. Garston prides itself on being New Zealand’s most inland town, and with a population of only 100, you’ll immediately feel part of the community. Visit the local pub and meet some of the town’s characters – sheep, cattle and deer farmers all with a story to tell. The town is just three quarters of an hour away from Queenstown’s summer and winter playgrounds and ski–fields and an hour in the opposite direction from the Fiordland National Park and iconic Milford Sound. 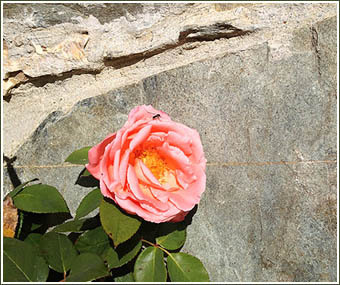 Four–wheel driving, farm touring, fishing, golfing and tramping are all available. There is nothing like a little bit of local knowledge to ensure you get the full experience of a stay in Garston. Your host, John McIver has more than a little bit of experience, he is a true blue Southlander having lived in the area for over 20 years. John spent his childhood in the small town attending the Garston Primary School. He retired to Garston from Gore to make the most of the wonderful lifestyle on offer. If there’s a story to tell about the region or the people who live here, John is the one to tell it. 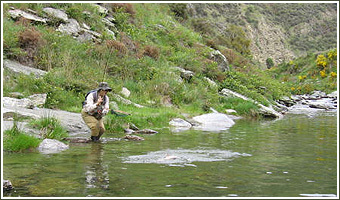 John is a keen trout fishermen and can arrange guiding outings with their local internationally acclaimed fishing guide. Visit www.stusflyshop.com. 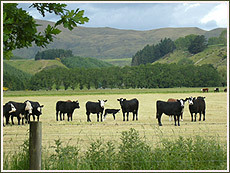 John is also happy to recommend excellent local tramping tours, visit www.highcountrywalks.co.nz .